When James Courey was a child, he didn’t dread going to the dentist. In fact, he looked forward to it. Based on that experience, a young Courey selected his career path. “I thought this was something I could get into.” And get into it he did. He’s now been practicing since 1988. After four years at the University of Iowa dental school, he spent another four years getting extensive prosthodontic training at Montefiore Medical Center/Albert Einstein University in New York. Courey, who’s a surgical prosthodontist, also completed a four-year implant surgery fellowship at the New York University College of Dentistry’s department of Periodontology and Implantology. Courey’s training and expertise gives him a special understanding of the dynamics of a smile, the preservation of a healthy mouth, and the creation of tooth replacements. Individual treatment plans and a team approach set the practice apart. 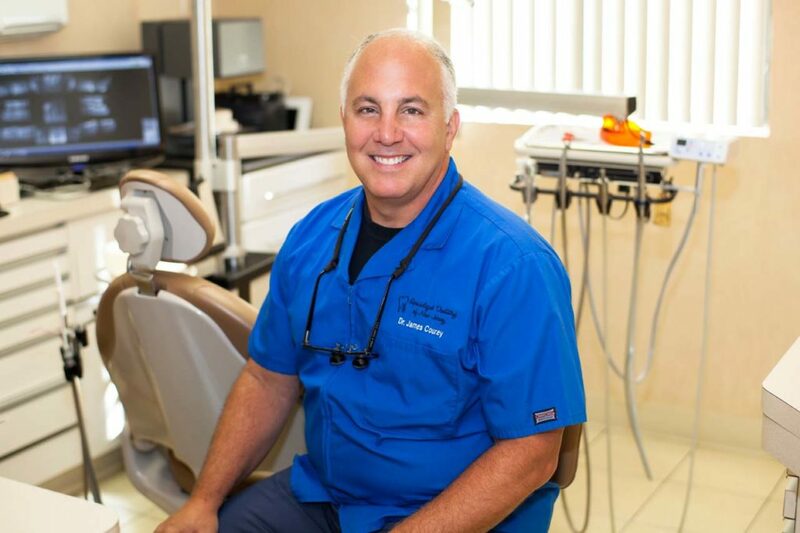 As an expert in restoring and replacing teeth using implants, crowns, bridges, veneers, and dentures, he receives referrals from dentists all over the Northeast. (Courey has been named “Top Prosthodontist” in a survey published by New Jersey Monthly.) 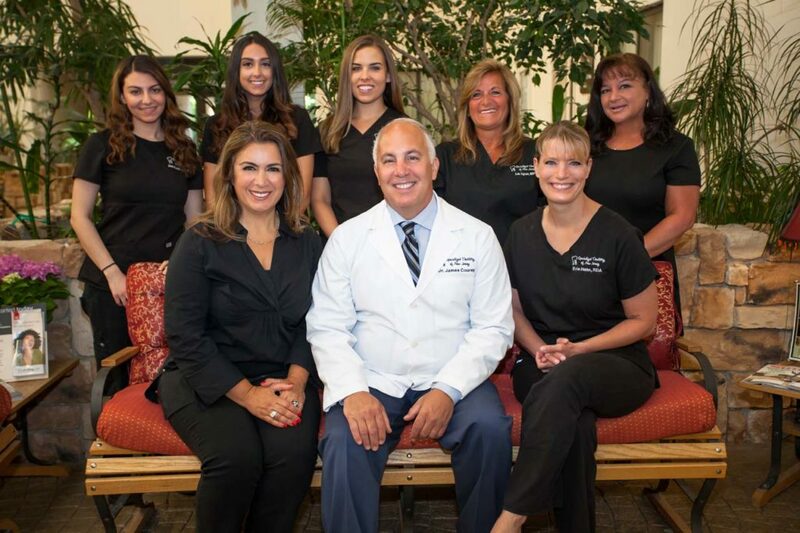 His cases include everything from dental neglect to damage from car accidents, from teeth destroyed by eating disorders to congenitally missing teeth—all of which require cosmetic intervention in the form of implants. “People’s perception of their smiles is so inherent as to who they are,” observed Courey. The situation might be, he explained, a woman who neglected her own dental needs to attend to her family’s, or a patient whose natural teeth simply didn’t form correctly. “Almost on a daily basis, we are able to impact people who come in with these unique needs,” said Courey, who’s also a postgraduate instructor of implant and restorative dentistry at the Columbia University College of Dental Medicine. He credits advances in technology with his increased ability to improve both cosmetics and function for patients. Technological developments, he said, have expanded treatment options. Courey describes himself as the general contractor, the quarterback, who assembles the right team of specialists based on the complexities of a patient’s case. In addition to the more traumatic cases, Courey said that over the course of this year, patients are demanding more youthful smiles from the natural teeth they have cared for and retained into older age. He recently treated an 80-year-old woman with brightening agents for a more youthful look. “It wasn’t a large outlay of cash for her, and she achieved that more youthful look,” he said. Most important, she couldn’t be happier. Being able to return a younger appearance and fixing trauma and neglect to restore confidence to their patients is what leaves the doctor and his team coming back for more. 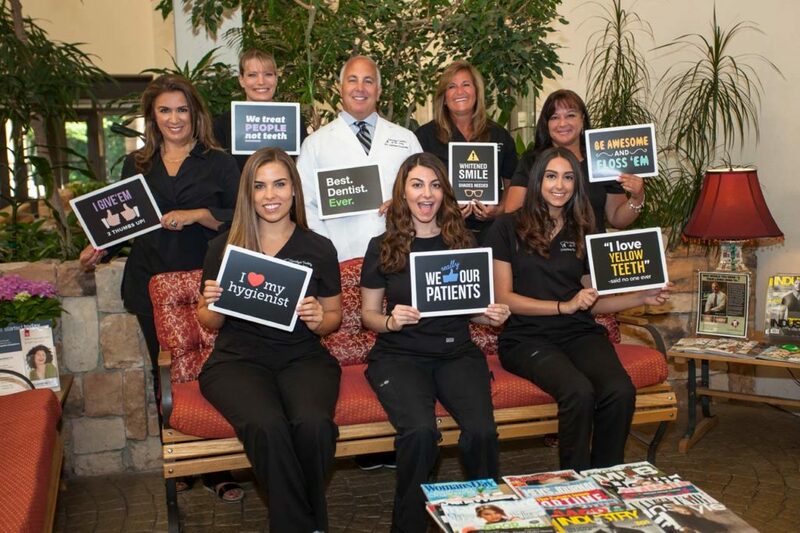 Courey and his care team—including Dr. Joseph Zagami, a fellow prosthodontist—spend their days dealing with everything from the smallest filling to the transformation of an entire smile. Michael, who has autism, attends Princeton Child Development Institute, and the family has become passionate about supporting the school and the autism community. “We’re philanthropic; we host events for the school. Helping those with autism is great for the community [at large],” noted Courey. For Courey, there’s no dream of a private island or a chateau in the south of France. He’s living his dream.